Northwest Arkansas Bassmasters Bass Club is organized as a not-for-profit club. With more than 20 members, NWA Bassmasters has been and continues to be involved in youth, community, and conservation issues. Examples of these include holding “Casting Kids” events to help involve children in fishing. NWA Bassmasters also helps put on numerous charity bass tournaments including one for Special Olympics. In addition to community support we fish 11 tournaments each year. All members exhibit true sportsmanship and handle fish with great care. All live fish are released immediately after being measured on a special ruler that gives an estimated weight. This keeps any fish from dying from stress related problems. Pay outs for tournaments include 1st, 2nd, 3rd, and also big bass. Trophies are awarded at the end of the year for final point standings for each individual. A $500.00 prize will be given to the angler of the year. 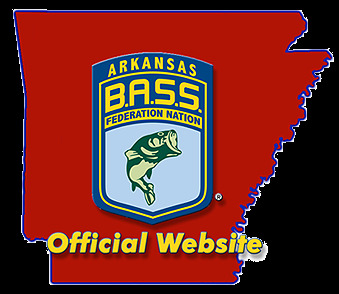 The top six finishers at the end of the year are qualified to fish the Arkansas State Federation Tournament. Members of the Club enjoy camaraderie and sharing fishing stories and techniques. If you are thinking about joining a club…please consider NWA Bassmasters Bass Club! I promise to create among my fellow anglers, and the public in general, an awareness of my Chapter's and Society's contributions to angling, conservation and outdoor recreation. I will encourage and instruct the youth of my community in the art of bass fishing. I pledge myself to full adherence to all conservation codes and to detect and report any polluter of our nation's waters. NWA Bassmasters meet the second Monday of every month at 6:30pm at AQ Chicken House located at 1207 North Thompson in Springdale. For more club info please contact Harvey Horn (479-256-9134), or Randy McKee (479-466-9460).